Bio: I have spent a good portion of the last 65 years outdoors. Yes, I am old by some standards, but I am still a young pup relative to a few hikers we have in our group – my personal heroes. I grew up in a Navy family moving from place to place and my jobs over the years have provided me the opportunity to visit many different places. Regardless of where I was, I took advantage of any outdoor activity available. I have hiked Kilimanjaro in Africa, Mt Fuji in Japan, volcanoes in Hawaii and Iceland, jungles in Madagascar, Pulpit Rock in Norway and many more …. Though I have had the opportunity to do many different things, the vast majority fell into the “one and done” category. 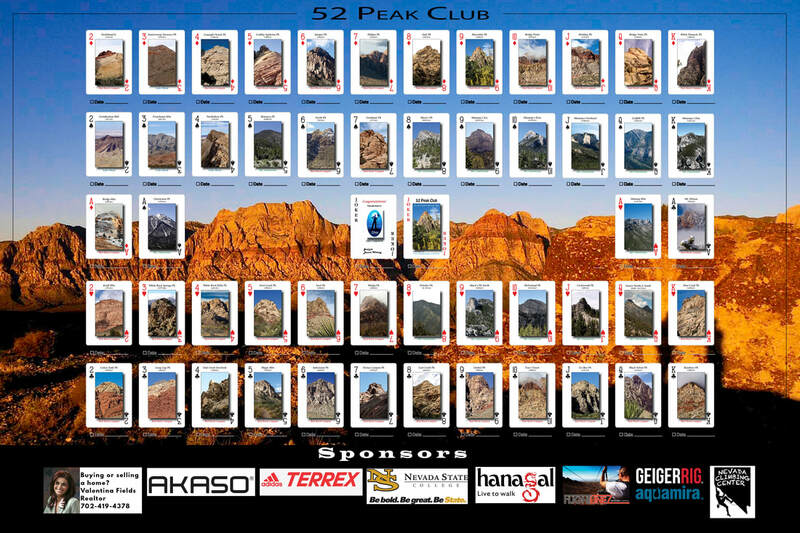 This is definitely contrary to the 52 Peak Club philosophy of requiring the completion of 52 different peaks. Regardless of how noteworthy any particular hike might be, upon completion you must face the realization that you are only 1/52 closer to your goal. This realization is both daunting and stimulating, pushing you to do more. As a consequence, adding the 53er title to my bio has been a most rewarding and memorable experience. 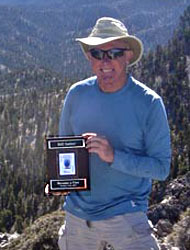 Why did you join the 52 Peak Club: I have been hiking and doing outdoor activities all my life. As I grew older most of my hiking colleagues got old and found other things to do. Because I have no intention of enjoying my old age in a rocking chair, I continued to hike but mostly alone. My family and friends would worry because I was out alone and have a history of not staying on the normal trails. 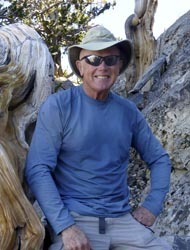 A friend of mine noticed an article by Branch Whitney espousing the wonders of the 52 Peak Club. While at our house for a party, my so-called friends had the equivalent of an intervention and signed me up on the spot to join the 52 Peak Club. Now they complain because I am out hiking all the time with the club and talking about the current hike or the interesting individuals on the hike. Next time I am sure they will be more careful about what they wish for. Seriously, they tease me, but it is all in good fun, and everyone is happy I joined and am having a great time. Although, they might think twice if they actually saw some of the places we go. Note for the Record, when Branch or one of the other experienced hikers say a particular route is especially fun, be afraid, be very afraid. It usually means that way too much of your posterior is hanging out in space. The good thing is that Branch invariably has a more mellow alternative for those of us who are little faint of heart. Toughest Peak: The toughest peak is subjective based on the particular route and the pace. Mindy did Frenchman Peak, a two of spades, setting a new land speed record and about killed me. But all factors being equal, I would say it was tie between Rainbow Peak via Gunsight Notch and Wilson via Cleaver Crack. They both took a considerable period of time, required different techniques, and some exposure with a little rope work. I slept well both nights. Favorite Hike: Like the toughest hike question, this is difficult because of the shifting criteria for favorite. There are so many variables based on the hike, the route, the weather, and the people. The group dynamic can make the most mundane hike a blast. We had a hike where some individuals were struggling which resulted in the hike lasting much longer than planned, but I had a great time – again the people make the difference. The two toughest hikes were also among my favorites. What makes them tough also makes them memorable, i.e., the diversity of terrain and techniques required to complete the hike and the camaraderie of the individuals make them stand out. If I had to pick one which captures many of the above criteria, it would be Holiday Peak. The people were great, the length, the view, and the diversity of the techniques, included chutes and scrambling, made this hike stand out. How did you feel once you became a 53er: This has been a wonderful six months starting with my first hike, Turtle Jr., and ending with my last at Mack’s North Peak. I am not sure that anyone who is not part of the 52 Peak Club has quite the same appreciation for the accomplishment because it is one of those things where you really have to be there. In my opinion, the best most meaningful feelings are not necessarily those that come from the uninitiated masses but from those few that can truly empathize, i.e., “been there done that”. They are the audience you play to for true inner fulfillment. But this does not mean you cannot holler from the highest hilltop for all to hear, ala Eric and Linda. As a new 53er I am very thankful to Branch for inventing this unique vehicle to stimulate and support hikers to experience and achieve a substantive goal that that they can be proud of. Thanks to all the organizers and other experienced hikers for willingly sharing their knowledge and at times providing a safety net to prevent some of us from being overcome by “stupid.” And thanks to all that I have had the opportunity to share the experience with. I may have finished with my last card, but I have definitely not finished with the last hike. Advice for new hikers: Have fun. Always obey the laws of physics, i.e., stay hydrated (drink), do not get too hot or too cold, calories are good when you are hiking (you need fuel), never ever upset gravity (she is unforgiving). Have fun. Be responsible for yourself; be prepared; hike within your limits; slow does not necessarily equate to easy. Have fun. You will have the opportunity to meet a wonderfully diverse group of individuals. There are no limits on age (some of us really appreciate that), religion, political affiliation, or any other possible discriminator. Everyone is there because of a common goal, i.e., to bag that peak and have fun. Just because you have acquired a particular card does not mean you should not do that hike again. Every organizer is different, they may take a different route, and you will be with a different group of individuals. Depending on the group, you may be struggling to keep up, and the next time you might one of the stronger hikers and asked to act a sweep to keep an eye on the stragglers. Branch and some of the organizers have spent countless hours, days, and even years scouting and describing the various routes. Each of the routes is challenging, but Branch is always investigating ways to make things as safe as possible. A couple of things to remember about safety: safety is defined in the context of what you are doing. You are climbing a mountain in the desert. You are not at home in your lawn chair eating shrimp off the barbie. The other thing to remember about safety is that safe does not equal easy – as above, remember to be responsible for yourself. You are in for a wonderful experience and regardless of what you think after the first few hikes, you will get better, and you will Have Fun.